Made from a chiffon fabric with jersey lining. 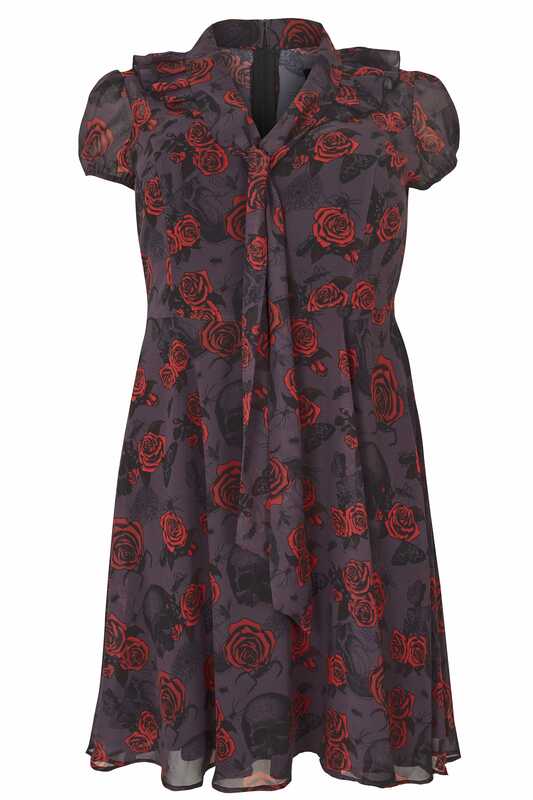 In a flattering skater shape, this statement dress features elasticated sleeves and a chic ruffle collar. Woven from a chiffon fabric, it is fully lined with adjustable straps. 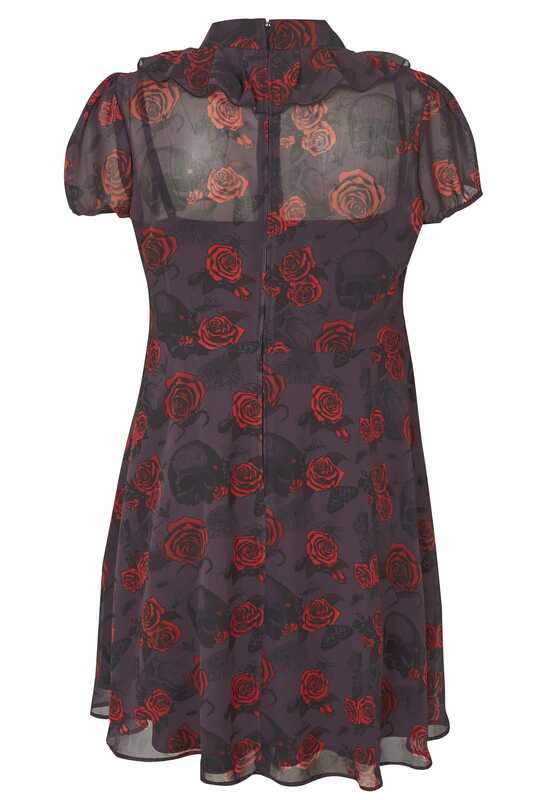 Ideal for wearing to parties, wear with black heels and matching jewellery to complete the look. We love the ruffle collar and elasticated sleeves for a 50's inspired look.